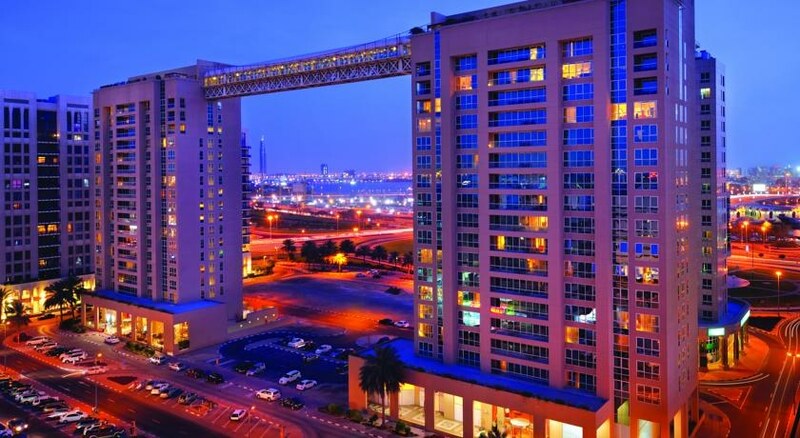 The Marriott Executive Apartments Dubai Creek provides business travellers with an ideal setting for long stays during their relocation to Dubai. This luxury apartment is styled rather elegantly and provides 5-star service and amenities to all its guests. The recently renovated rooms have separate dining areas, flat-screen TVs, and entertainment systems. 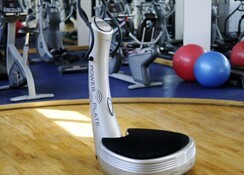 The hotel also features an outdoor swimming pool, a fitness centre and a spa. 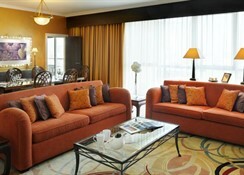 The Marriot Executive Apartments Dubai is located in the Deira district, which is only 2.5km from the airport. 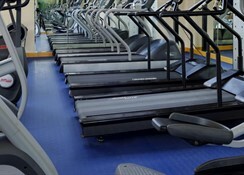 The hotel is close to numerous restaurants and shopping malls. The Al Riqqa Metro station is at a walkable distance from the hotel. This sophisticated 2-tower hotel with a skywalk is 2km from the Dubai Gold Souk, 6km from Dubai Creek and 11km from the 828 m-tall Burj Khalifa skyscraper. The 172 upscale apartments have soundproof windows, and come with free Wi-Fi, flat-screen TVs, DVD players, kitchens and washer/dryers. They also provide separate living and dining rooms, and some offer balconies with city views. The 2- and 3-bedroom units offer flat-screens and en-suite bathrooms. The kitchen includes a dishwasher – a microwave and an electric kettle. It also has a refrigerator and kitchenware. All the savvy foodies will be excited to see a number of cuisines and dishes served at the restaurant. Whether you like Arabic cuisine or Indian Cuisine, you will find them all at the Marriot Executive Apartments Dubai. Skye & Walker, the hotel’s award-nominated restaurant, is one that shouldn’t be missed out on. Luckily, it is open all day and serves some amazing healthy dishes. Apart from this, there are many good restaurants in the vicinity, making the hotel’s location a delight for epicures. The Marriott Executive Apartments Dubai offers numerous sports, games and entertainment facilities, which are bound to keep guests engaged the entire day. This spectacular hotel has an outdoor swimming pool, where guests can take a relaxing swim; on the other hand, there is a fitness centre where the guests can maintain their fitness level. The hotel also boasts a spa that offers various massages and treatments that will leave guests relaxed and rejuvenated.